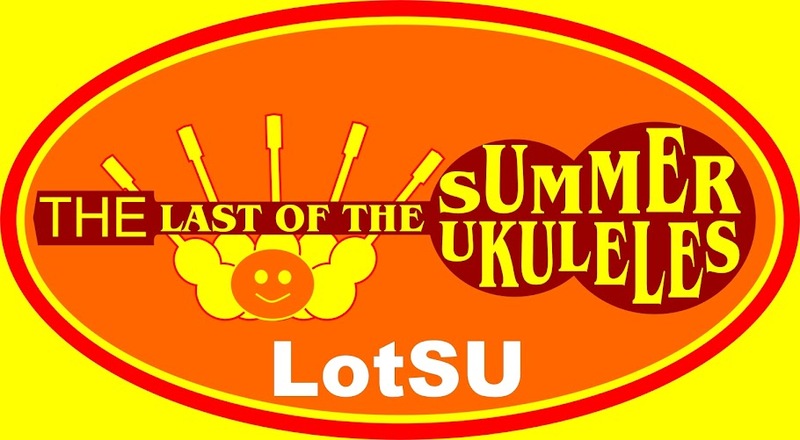 Home blog for the 'Last of the Summer Ukuleles'. Strumming for charity. At the last jam session LotSU decided on this years charity. 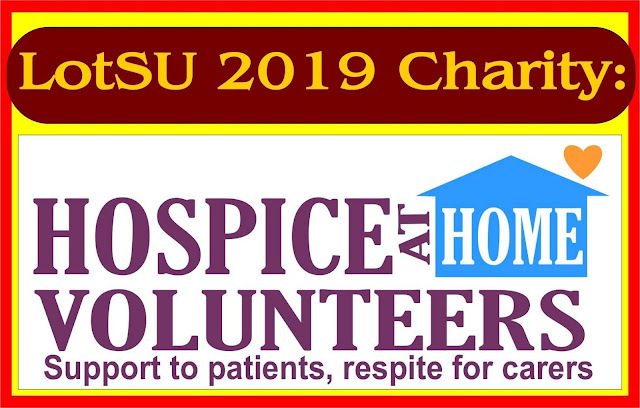 to see more about them use this link: hospice at home volunteers. It's a big ask but can we top last years total ? Astonishingly folks as we hurtle headlong into 2019 at breakneck speed, we find ourselves not only one year older, but also in May 5 years happily married to our monthly LotSU gatherings !...how did that happen ? Our 2018 LotSU year started by gathering ourselves up with that little 4 stringed wonder, and heading for The Red Lion on the 3rd January. Maureen from Hospice at Home Volunteers came along and received our final donation of 2017, bringing the total to £2232, after which we then went forth and started raising money for our new chosen charity 'Music For My Mind'. On the 16th Jan we kicked off our new LotSU gig season at the 'The Conservative Ladies Annual Lunch', which turned out to be a hoot when we were kicked off the stage by a Mrs Sargent Major saying 'clear off...it's time for the Raffle'...god forbid we interfered with the smooth running of the Raffle...! Looking back, 2018 gave us such a fab times and also a heartbreaking time. After a gallant battle against cancer and heart problems we lost our lovely Johnny P in March. it was a milestone for our happy band losing one of our own. We gave him our very best send off possible and a perfect way to say goodbye to the loveliest man we have ever had the pleasure to call a friend. Later on in the year we did a gig at Johns Friday Club and raised £200 for the British Heart Foundation and Cancer UK for him. April was mad, it saw LotSU turning back the clock 4months and doing Christmas all over again for the Macular Society in Milton Keynes, which originally was postponed the previous December because of thick ice & snow ! LotSU was 4 years old in May, and to celebrate, the brave and the fool hardly marked the occasion by turning up as 'Super Hero's'. The range of super heros was really quite astounding. We had a Turkey Raster man, a Superman, a Superwoman, a St Trinians Girl, A Willie Nelson, a Mark Knopfler, a Stephen Thompson Rugby Player, a "Hot Lips" Houlihan, a Johnny Cash, an Air Man, a Darth Vader, a Bob Marley and 2 Bat Men. I'm sure there is a film there somewhere. 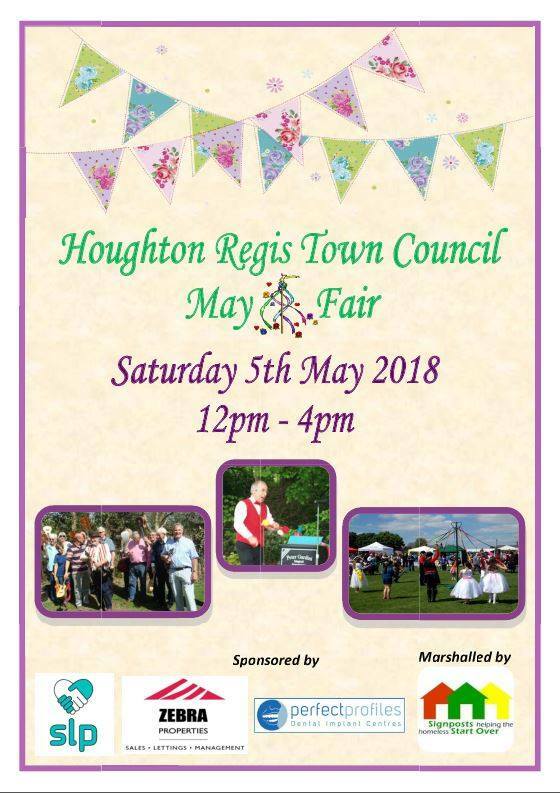 We did our regular appearance at the Houghton Regis May Fayre and then The Big Lunch again in June, both being excellent extra revenue for our charity. Our lead man Jim Lad then had to step back for a while with family commitments and to have his stuffing put back in, so our Gerry stepped up and led us through a couple of very nice gigs at Greenfields & The Houghton Regis Horticultural Society, so again much thanks to Gerry for helping us out. We took a well earned summer break and came back in September with a massive attendance of 25+ strummers for our regular spot launching the 2018 Sudhamberry Music Festival. This year doing a full half hour rather than a 20minute slot. Octobers highlight was our first appearance at 'Greenfields'. We don't do many evening gig's but this was something special. The LotSU Pirates made an appearance and a fab amount was collected for our chosen charity. So now we are where we are. It has to be said the Christmas session at the Red Lion was one of the best we've ever enjoyed. Special thanks goes to the 'Entertainers' of the Variety show, and a big hand of applause to our Nigel, Keith, Jean, Chris, Martin, Malcolm, Jim & his glamorous assistant Chris. Thank you all, it was brilliant fun. Also, the LotSU Christmas Auction raised a very nice £150, so thank you to everyone that contributed and the much coveted 2018 'LotSU Bring Me Sunshine Award' went to a very nice man, our Jeremy. Congratulations and well deserved. We rounded off the LotSU gig season in fine style for a second visit to The Luton Dementia Cafe. We had a fantastic attendance of 20+ strummers and this time knew what to expect. Sure enough everyone got straight up and started dancing to LotSU Rock'n'Roll. In between time we unfortunately had to cancel 4 sessions at the Rose&Crown for various reasons. Now we are back and in the main restaurant area with great new partners in the pub Paul & Kelly (not a couple) Please if you can attend this strum-a-long then please do, as we now have lots of room which we can use if we can keep the numbers up. Believe it or not (excluding rehearsals) we gathered ourselves up to strum together 47 times, 27 of which were gigs (6 of those were foc) Raising a fantastic final figure for all your hard work to £2775 for our chosen charity, over £500 more than last year...WOW ! The criteria as always is... #1 it's small and #2 it's local. This means unfortunately no local branches of national or international charities, and idearly is registered with the UK Charities Commision. So please if you have any suggestions please let us know at LotSU HQ, the closing date is 31st January. Well that's all folks. Thank you for all for your unwavering support and deep sense of fun that has made LotSU what it is today. Please take a look at the LotSU Website as there are, thanks to Keith, a huge amount of fab photos for you to enjoy. Wishing you all a very HAPPY NEW YEAR, it all starts again at the Red Lion tomorrow at 12noon. Hope you can make it. Strum away those post-Christmas blues with more jolly than the fat guy with a chimney fetish can sack up. Happy 2019 LotSU....let the merriment of the New Year begin. Well 2018 is now history. Photos on the 'gig gallery' page. Some new folk have come onboard the gigging band and entered into the madness with gusto. 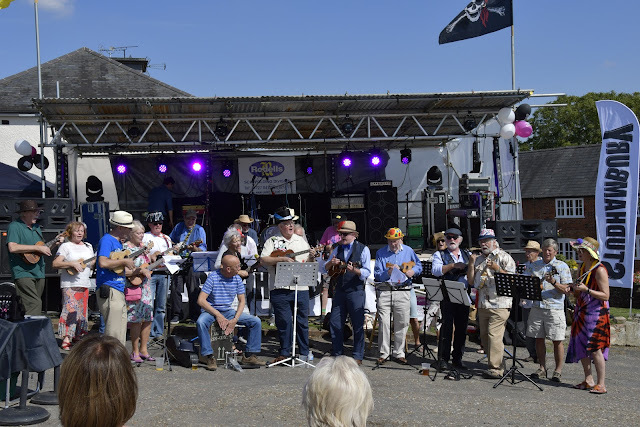 We've made new contacts and gigged in new places and we've returned to many of the places that we've gigged in the passed. again beating what we raised the previous year. (or by way of a thank you). Well that was 2018 (gigs anyway). Photos on the 'gig gallery' page. Lots of fun, some frustrations ( but that's good because we always try to be the best we can). Some new folk have come onboard the gigging band and entered into the madness with gusto. We've made new contacts and gigged in new places and we've returned to many of the places that we've gigged in the passed. And AGAIN we've raised more for the charity (this year it was 'Music for my Mind) than the previous year. We meet for the last time in 2018 next Wednesday (19th December) at Wingrave for our jam session. But it looks like this will be without Captain Stephen as he will be out of action due to a hospital issue. (Nothing to do with those baubles). All the very best Stephen and we look forward to a fully refurbished boss very soon into the New Year. our chosen charity for 2018.